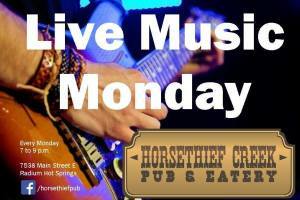 Live Music Monday at the Horsethief! 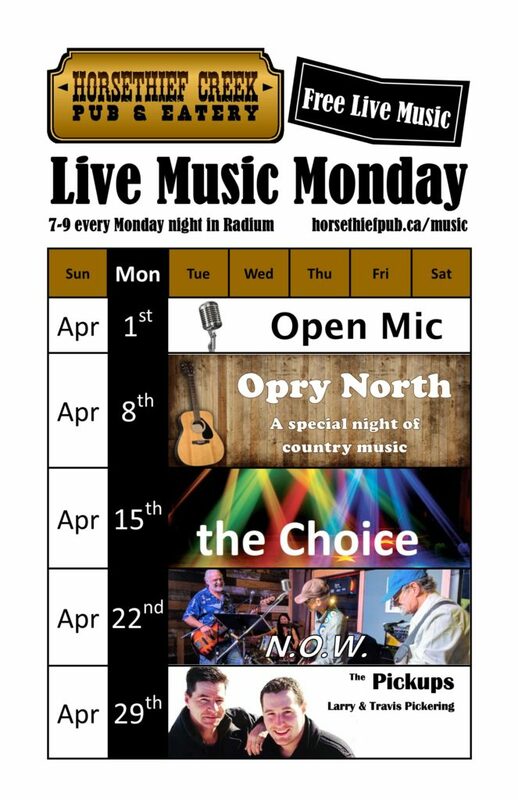 Join us for Live Music Monday every Monday from 7-9 pm! featuring talent from the Columbia Valley and beyond. The Horsethief Creek Pub & Eatery is one of Radiums’ must visit establishments. The pub has been the focal point for over 20 years with the locals and visitors alike. Whether you are looking for a light snack, hearty meal, or just a few drinks, you are sure to find something at the Horsethief. With a rustic feel and welcoming staff there is always something new to enjoy. 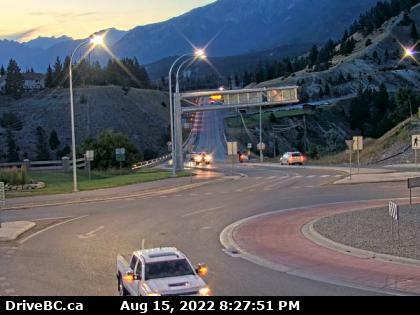 At the Horsethief Pub and Eatery, they pride themselves on being the best restaurant in the Village of Radium Hot Springs, and maybe even in the Columbia Valley. With their extensive menu they’re sure to provide something for everyone. They use only the freshest ingredients in all of their food, from homemade half pound burgers to roasts and turkeys cooked in their own ovens, you are sure to be satisfied. Come visit the Horsethief Creek Pub & Eatery in Radium Hot Springs, BC!